Saturday 4/27/13 Zane raced at Warren Arkansas Speedway. Zane finished second in his heat race which landed him in the third starting position for the feature. It was a close race between Zane and Joel Ball, but Zane was able to hold him off and pick up his first win of the season. 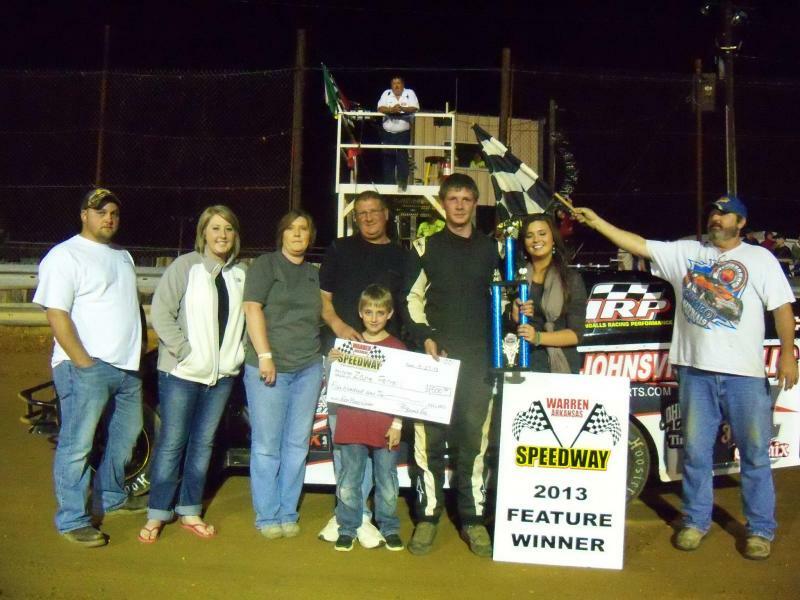 Zane will be racing at Warren Arkansas Speedway again this following Saturday 5/4/13. Check out Warren Arkansas Speedways website for track info and upcoming races!